As mysterious microbes, the Latozoa, appeared, a new branch of medicine developped, the Arthro-Surgery. Now surgeons called Arthro-Raiders are brain-connected to the Arthro-bots, nano robots equipped to fight face to face against the Latozoa. 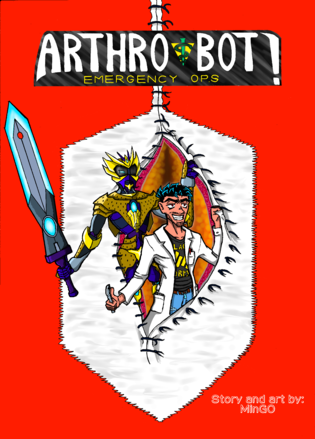 The hotheaded Carlo wants to be a raider, and he is halfway there, since he's about to graduate as a doctor. Still he is everyday less motivated to pursue his goal, and he is on the brink of changing his plans. Will this idle kid go back on his paths at last?